Question: What is the most thoughtful thing you can do for your pet parrot? Answer: Make certain you're feeding your parrot the best diet possible, of course! Why? Because without a well balanced nutritional program your parrot's health will not only gradually decline but also vitamin deficiencies will make way for illnesses and disease that will definitely shorten your parrot's life. Water is important to every living creature on this planet and the parrot is no exception. The water bowl should be changed at least daily because parrots like to dunk their food (seeds, pellets, etc.) in water to make their food more palatable. Also, parrots shake off dander and dust and their high activities tend to push it in every direction, especially into the water dish. So keep an eye on the water bowl so your parrot doesn't use it as a crockpot in an attempt to make some kind of 'kitchen-sink' bacterial soup! And while we are speaking about the water in the bowl, please don't forget the bowl that harbors the water. If the bowl is contaminated, so shall be the water. The bowl should be washed in hot, soapy water after each change to clean off all residue and slime. As long as a human can drink it, so can the parrot. Bottled water is the best but most tap waters in many cities (as of this writing) are safe. Distilled water cannot be recommended unless you own a bird with that dietary requirement, such as the Toucan who must keep its diet low in iron in order to maintain the amount their body retains. If this cannot be achieved, the result is a disease called hemochromatosis, which will shorten a Toucan's life considerably! Distilled water can, however, be used short-term as a detoxifier but check with your vet first if you plan on doing this because distilled water can rob your bird of some precious nutrients. Bird diets differ greatly across the globe but parrots can be classified according to their normal diets. The members of the parrot family (psittacines) are "florivores" meaning a portion of their diet is obtained from plants. Among florivores are "grainivores" and "frugivores" (diets consistent on grains, nuts, seeds and fruits), as well as a special class of birds like the hummingbird, that exists only on nectar and—you guessed it—they're "nectarivores!" Fresh food in variety should be fed to your parrot daily. 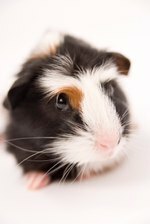 For most species, pelleted foods should represent 65-80% of their diet. Vegetables can make up to 15-30% of their diet with seeds and fruits filling the remaining void. Vegetables provide an abundant amount of balanced nutrients for your parrot but fruits, while nutritional, are high in sugar and should comprise about 5% of your parrot's diet. Grapes, for instance, are loved by parrots because of sweetness but they don't benefit the parrot's diet like some other foods. Corn and peas also fall in the same category as fruit but adding these sugary vegetables and fruits to your parrot's green and orange vegetables once in a while won't hurt them. Don't skimp when feeding your parrot. They may waste a lot in the beginning, but as time goes on they'll eat the good foods regularly. Being creative and clever in ways of presenting food to your parrot will pay off in the long run. Sometimes the bird doesn't care for the foods that are good for them, so what can you do? Pellets cannot sustain a parrot all by themselves but if you have a finicky bird, pellets should be offered. Pellets will make up the deficiencies in your parrot's diet. When choosing a pellet brand always go for the best ingredients, preferably an organic brand. You may have to go through a number of brands before you find a brand your parrot will like. Some of the colored pellets should be avoided because of dyes and sugars, but if you need your parrot to be introduced to accept a pellet diet, the colored varieties will have to do. Just make sure you move onto a healthier brand once your parrot accepts the pelleted diet. Did you ever think of feeding your parrot pasta? Enriched, whole wheat or vegetable pasta will do as an added treat to your parrot's diet. Brown rice, cooked barley and quinoa are also good. Adding a little of some untried vegetables to the mix can fool a bird better than if you try feeding the vegetables to him separately. Your parrot might go for squash or spinach mixed with brown rice rather than eating it separate. Try it! Remember, this is a treat and should not be offered every day as it will interfere with you parrot's regular diet. Not all birds should have seed. If you have a small bird whose natural diet consists of seed, they should have seed in their normal diet. 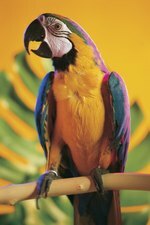 Parrots weaned on seed shouldn't be offered it at all except only as a treat. The problem is there is a variety of seed from which to choose, and even though they are filled with vitamins, commercial seed has no regulations, meaning anything can go into them! Also, some seed has been sitting in a warehouse for a long time before shipping to stores. When the nutrition is gone, the seed is useless. A good way to test seed is to try sprouting some on a damp cloth or paper towel. A sprouting seed means it's fresh. Feeding your pet bird the right food is necessary for good bird health. A balanced diet based on bird nutrition will prevent many health and behavior problems. It's never too late to get your bird back on the path of health and nutrition and a very long life.